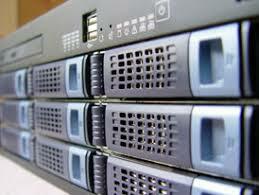 If you have considered web hosting as a way of making money, you are not alone. In addition to some of the big names in web hosting out there, there are a seemingly endless list of smaller web hosting companies that are trying to make a dollar. As of January 1, 2018, there were more than 1.8 billion websites. Whether these websites get one visitor or they get tens of thousands of visitors every single month, they all need web hosting. This means that there is a lot of business to go around. Is There Money to Be Made As a Web Host? The short answer is yes. If there was not, then people would not be in the business. Sure, there are some companies that offer free hosting. However, that rarely works out for the companies that put their sites on these servers. They usually end up moving back to a paid host. And it’s always good to remember that with anything on the Internet that’s free, if you are not paying for it, it’s likely that you are actually the product that’s being sold. In order to make money as a web host, you need is to find a hosting service that is affordable and then resell it at a slightly higher price. As long as you have large enough servers and you have a sufficient amount of bandwidth, you will be able to divide up your server and sell it for a monthly fee. This is an awesome way for you to make money, it’s a great way to gain client loyalty, and you can attract other people who may be interested in purchasing the services and products you have for sale. Should You Purchase from a Reseller? Maybe. If you do, we recommend using extreme caution. It is good to do your due diligence and learn as much as you can about hosting companies before spending your money and entrusting your business to them. You want a reseller that has a variety of price brackets. There should be an uptime guarantee, and the reviews of the company should be stellar. The more automation the hosting company has, for example, when signing up new clients, the more reputable they likely are. Be sure that you do not get pulled in by a cheap price, because you will likely get quality that’s equivalent to what you pay. Is Web Hosting Lucrative for Big Companies? Again, the answer is yes, but there are some factors to consider. A hosting company is just like any other company. They determine how many people they can hire, how much marketing they can do, how much new hardware they can purchase, etc. based on their gross profit. 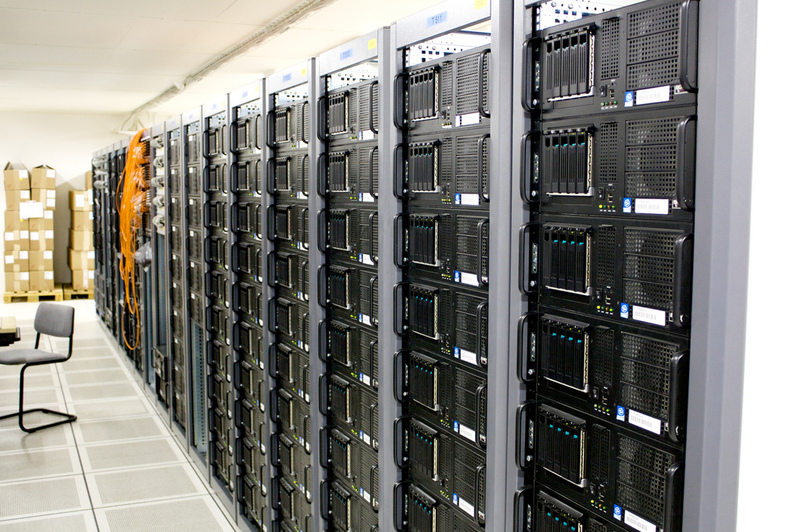 For the majority of the bigger hosting companies, 30 percent of their gross profit is dedicated to their servers. That only leaves them with $.70 on the dollar to cover the rest of their expenses. Some of the more established hosting companies do not need to worry as much about marketing because their names are synonymous with web hosting. Newer companies that are trying to make a name or existing companies that are looking to expand their client base could dedicate up to 10 percent of their gross income to marketing. Now, they are down to $.60 on the dollar that they can use to pay salaries and cover other expenses. There are a number of web hosting companies that offer their service for around $10 a month or about $120 every year. They attract people to their service by offering 24 hour seven day a week support, along with other goodies. They are able to do this because they are betting that their servers are good enough that their clients are not going to require a lot of support. Just think, call centers, like the ones you use for your cell phone, your insurance company, or maintenance on products you purchase, can pay their support team members under $40,000 a year. It’s because, in most cases, providing support does not require a software engineer. However, hosting services need system administrators who could cost in excess of $100,000 each year plus any benefits that are offered. By charging $10 a month or $120 a year, a hosting company can only hire one software engineer for every 1,400 customers. This does not even take into consideration all of the other expenses a large hosting company is going to have, including staff, rent, etc. Hosting services that offer their product for $20 a month or $50 a month have a better margin, but still they need a lot of customers in order to cover their expenses. National dynamics also influence how web hosting revenue is generated. Take a country like the US where the web hosting industry is a mature and extremely profitable business sector. In the early days of US web hosting small resellers morphed into larger hosting companies and bootstrapped revenue, we are now seeing this with a lot of Canadian web hosts. However, in the US market dynamics have evolved to the point where larger conglomerates like EIG (Endurance International Group) have a massive share of the US web hosting market. Let’s say that a hosting company offers their clients virtually everything for $10 a month. They know that of the 1.8 billion websites that are on the Internet right now the vast majority of them get little movement. So what their hope is is that the majority of their clients use little to no bandwidth. Successful websites that do use a lot of bandwidth get throttled by the hosting service, they become unhappy with their slowed down service, and so they leave and choose another company or purchase a more expensive plan. Then the hosting service is able to replace those high-bandwidth clients with clients that have little to no bandwidth. When you understand the economics of web hosting, you to see why it’s not in your best interests to purchase the cheapest hosting out there. Of course, not everyone can afford to pay hundreds of dollars a month for web hosting. However, if you’re only going to spend $10 a month, realize that the support you get will really only be the bare minimum, you’re going to be sharing your server with a lot of other sites, and if your site become successful, you can expect it to be throttled and will eventually need to find another hosting company. Are you interested in becoming a web hosting reseller? Do you have additional insight on the economics of web hosting? If so, tell us about it in the comments section below.